Meanwhile the gentlemen are having their own interesting end to the Flat season. Pat Millman’s firm grip on the lead position was tightened with a fine double at Beverley at the end of September, taking his seasonal tally to 6, well clear of his rivals. 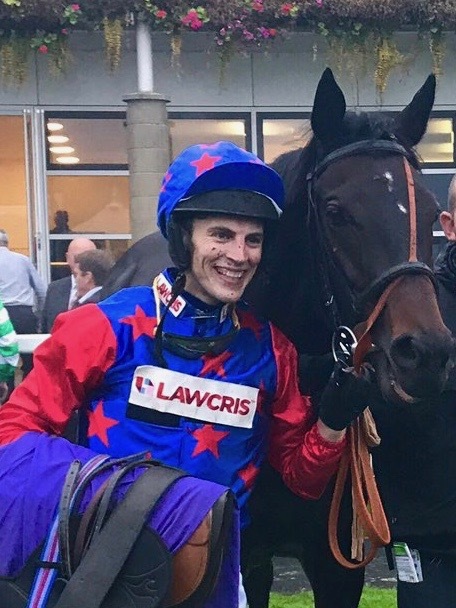 The only other lads to score more than a single win from the 24 times that gentlemen riders have graced the winner’s enclosure this season have been Jamie Brace (2 wins thanks to TAKE TWO) and perennial champion Simon Walker (having a quieter season than usual for him) with 3 wins so far. 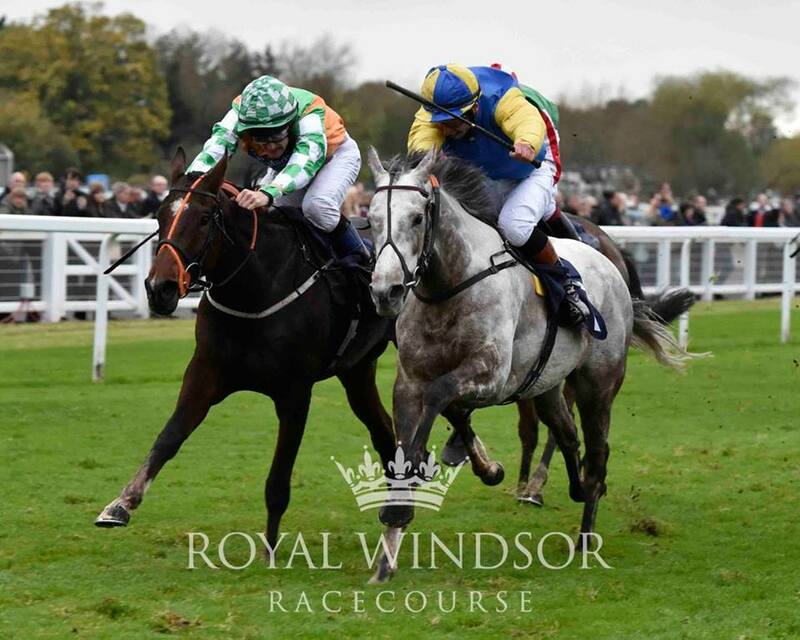 Ben James joined Simon on 3 wins when enjoying a thrilling victory at Windsor last Monday by a short head aboard John Bridger’s BETSALOTTIE, denying Ross Birkett with Jamie Codd a length away back in 3rd. 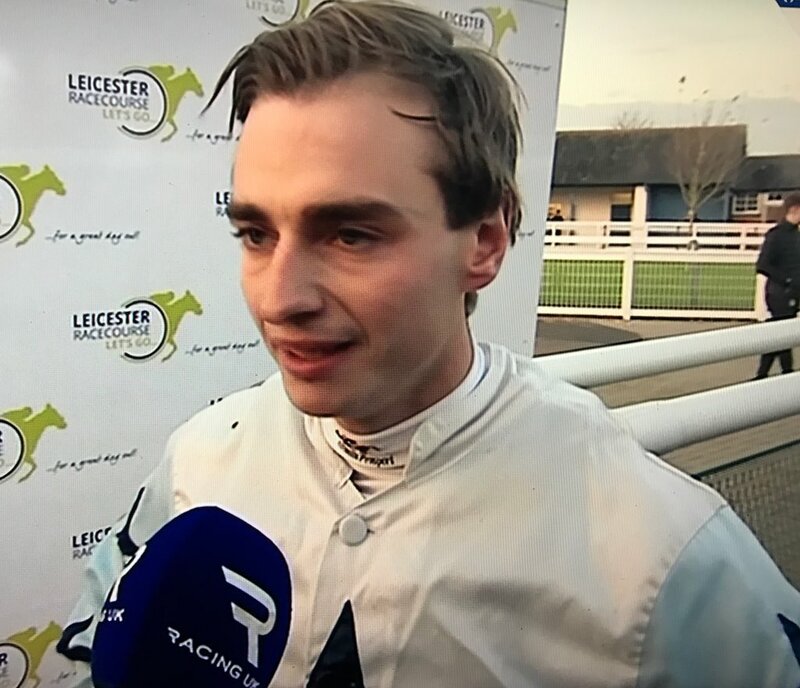 Ben followed this up at Leicester this Monday when partnering CHAMPAGNE BOB for Richard Price to make late headway 2 furlongs from home and storm home to head Simon Walker aboard MY GIRL MAISIE inside the final furlong and win by 2 1/2 lengths. This dramatic result took Ben into runner-up slot with 4 wins, and with 2 remaining races, the final mixed tomorrow at Nottingham and the last men’s race of the season at Nottingham in a week’s time, you can be sure Ben will have Pat in his sights! Well done to last season’s Betfair Series Champion Emily Easterby who won the final ladies race of the season at Newbury on Saturday when partnering David Simcock’s BYBROOK owned by Qatar Racing. This was Emily’s first win of the season with the current leading ladies and past champions (on 5 wins each), Serena Brotherton and Joanna Lucy Mason, placed 2nd and 3rd respectively. The field set off at a scorching pace which played into the hands of TAKE TWO ridden by Serena who was very slow leaving the stalls but made relentless headway on the leading group from turning into the straight to be denied victory on the line by just half a length, with Jo and TOGETHERNESS 3/4 length in third. 4th was Ella Mccain who currently sits in the championship runner-up slot on 4 wins alongside sister Abbie Mccain and past triple champion Carol Bartley. Tomorrow sees the final mixed race of the season in the last at Nottingham where the curtain comes down on the ladies. Both Serena and Jo have rides as well as Ella and Abbie, so the possibilities are endless even at this late stage for the ladies championship. We could literally have a single champion, a shared championship of two or even a shared championship of three! 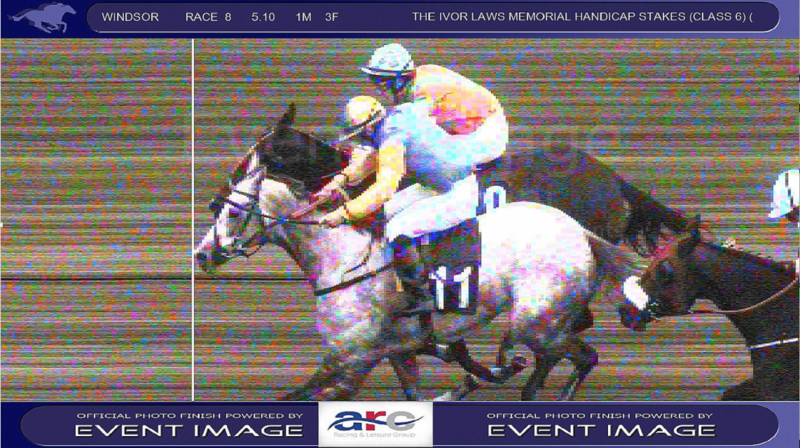 Or of course we could have no change at all to the current order with a gentleman rider winning the race. Good luck girls and well done to all our lady jockeys who have enjoyed riding winners this season! 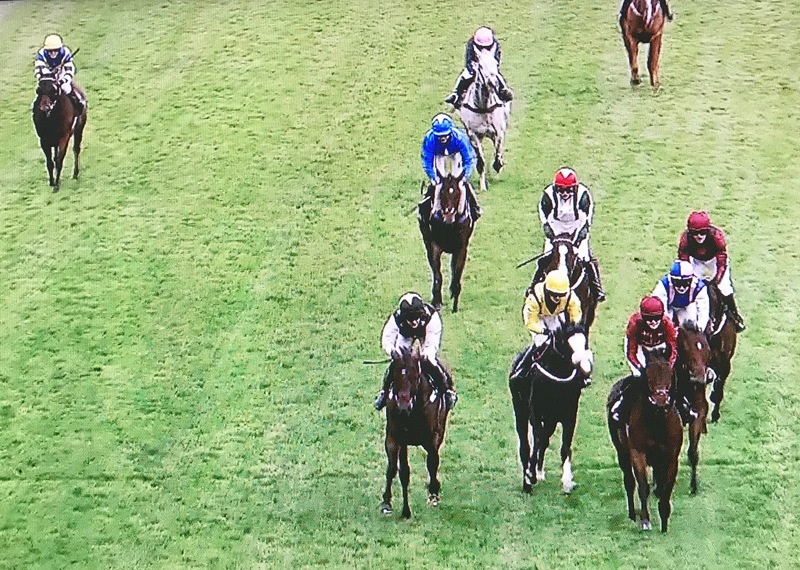 The end of the Flat season is always an interesting time for reflection and celebration of our amateur championships, but the build-up of the current season’s ladies campaign is proving to be unusually gripping this year right to the wire! Redcar’s divided ladies’ race last week saw Serena Brotherton take the first division aboard RESTIVE for Iain Jardine which took her to top of the tables alongside Joanna Mason, both on 5 wins each. Having shared this championship 2 seasons ago when both ladies ended the season with 6 wins, will this be repeated? Not necessarily whilst they have so many talented top riders on their heels and now with just 2 races to go! 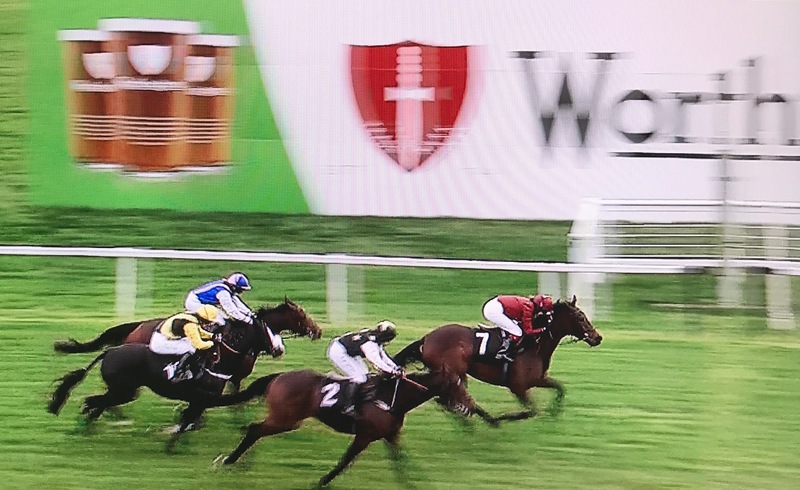 The second division of the afternoon at Redcar was won by a short head by 16 year old Ella Mccain on Richard Fahey’s INGLEBY SPRING to deny Emily Bullock in a photo finish with Joanna Mason 3rd. 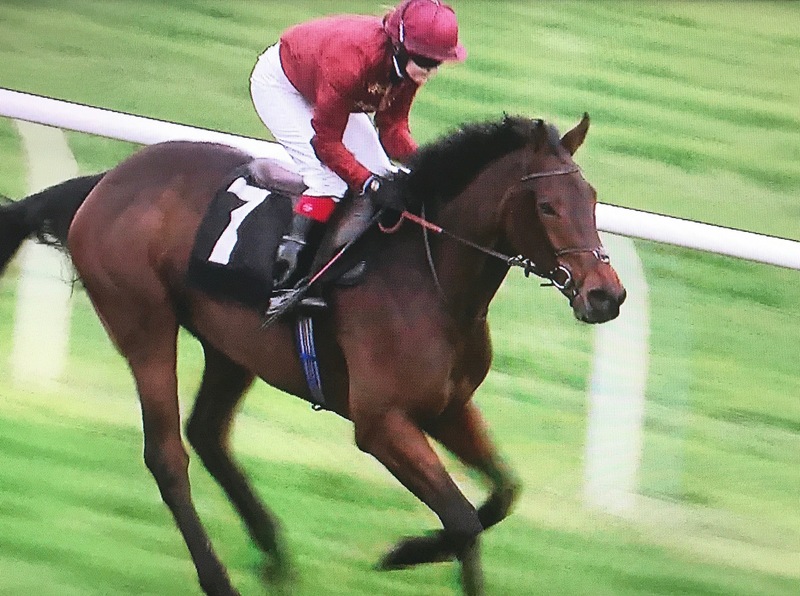 This was Ella’s 2nd win of the week, having won the mixed race at Musselburgh just 4 days earlier on her father’s TAWSEEF, and elevated her to runner-up slot alongside Carol Bartley, both now on 4 wins, with Abbie Mccain and Jessica Cooley on 3. Yesterday’s mixed race at Doncaster was eagerly anticipated by most of this cast and it was Ian Williams’ TOMAHAWK KID who provided Abbie Mccain with her 4th winner of the season to join sister Ella and Carol Bartley in the runner-up slot for the championship! The story continues in the last at Newbury this afternoon where the final ladies race of the season takes place (Serena, Ella, Jo and Jess all have rides) but we have to wait until the last mixed race of the season at Nottingham next Wednesday 1st November before finally celebrating our 2017 Lady Flat Championship! 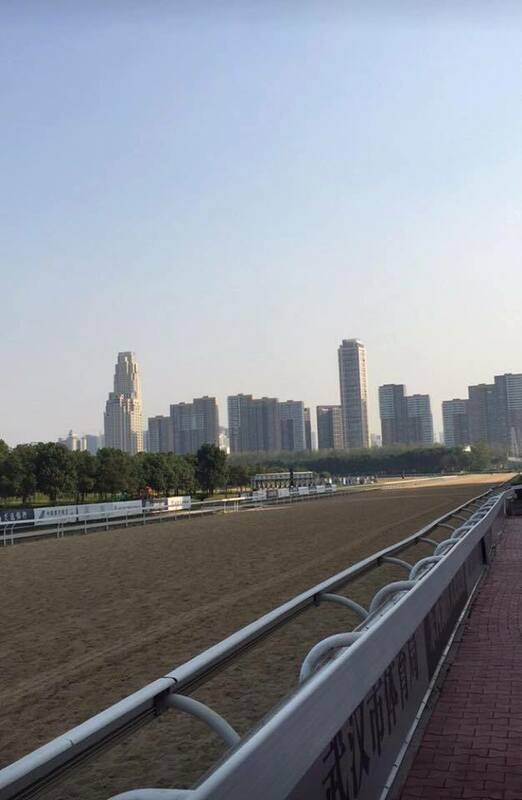 Huge thanks to Kit Wu of Wuhan Jockey Club for inviting us to send a representative from the UK to ride in China this week in their International Invitational race. Well done to Jay Kendrick for being selected to represent Great Britain and doing an excellent job for us in this ambassadorial role. James is amateur jockey to Roger Charlton at Beckhampton and has enjoyed a winner under Rules as well as an Arabian win. 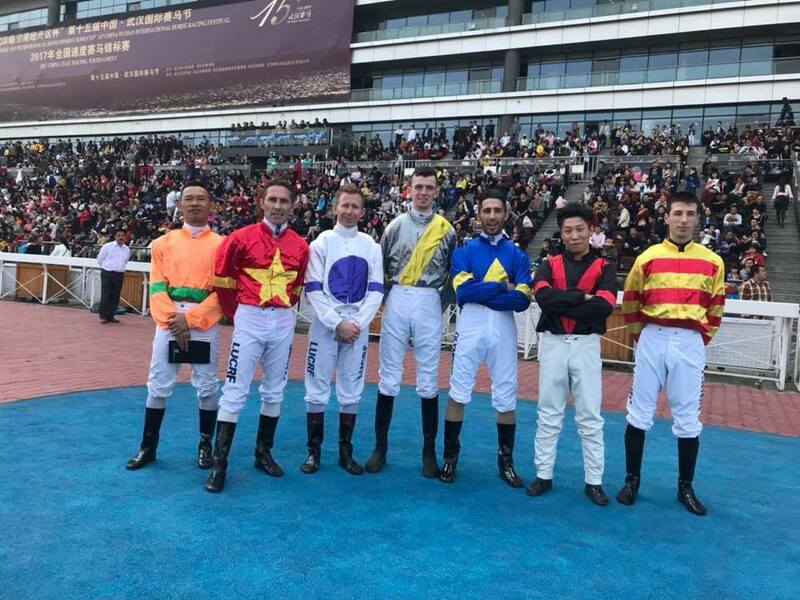 James thoroughly enjoyed taking part in yesterday’s race and, although his horse was a little too slow to be placed, this was a great and unique experience for him and we really appreciate the kind hospitality of our friends in China. Huge congrats to leading amateur Zac Baker on a great victory today when winning the Ladbrokes Welsh Champion Hurdle at Ffos Las with The New One for boss Nigel Twiston Davies! A great achievement and a top ride! Well done to Freddie Tett who survived what can only be described as absolute carnage including a slipping saddle when riding in the cross country race at Nuilly sur Vicoin in France and enjoying victory earlier this month! The video tells the story and this was a first victory for a UK gentleman rider over this demanding course. A previous visit to Nuilly sur Vicoin took place in 2007 thanks to the kind invitation of Jeremy Mahot when Polly Gundry became the first lady jump jockey to ride around and complete the course and Clairey Bonner went on to win there that weekend. Dickie Barrett and Alex Merriam also took part and the memories of their negotiations over the river still remain fresh! A bonus for the girls today in the form of an additional race with this afternoon’s ladies race at Redcar divided. This adds to the season’s dramatic battle for the ladies Flat championship with this season’s Arabian champion lady jockey Jo Mason currently leading the ladies on 5 wins which include successes at both York (Queen Mother’s Cup) and Epsom (Ladies Derby) with her mother’s TAPIS LIBRE trained by cousin Jacqueline Coward. Breathing down Jo’s neck are both past multiple lady champions Carol Bartley and Serena Brotherton currently sharing runner-up slot with 4 wins each. 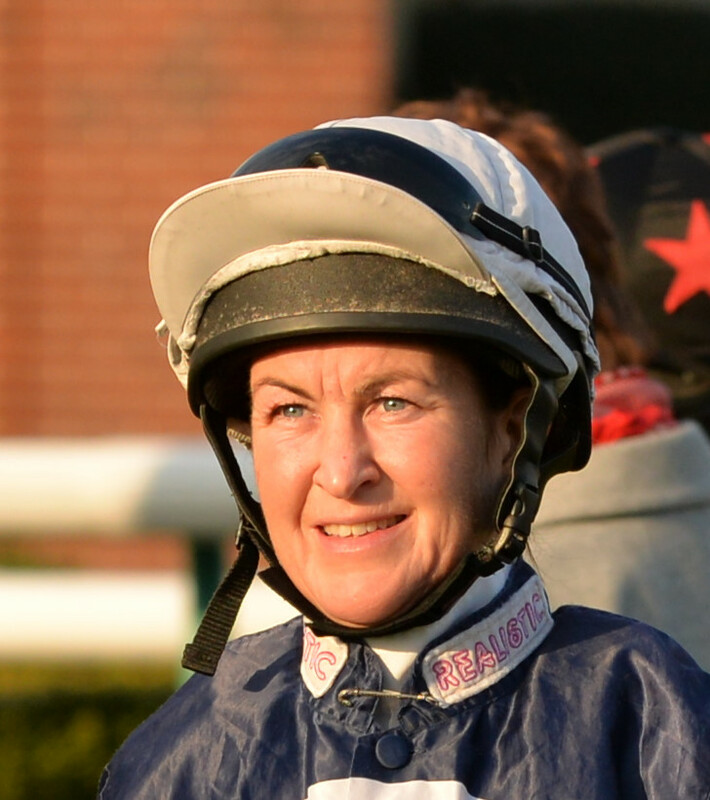 Carol’s highest profile win this season was the Silk Series win against lady professionals at Newcastle with Ian Jardine’s ARCHIPELIGO as well as success at Newbury of the Betfred Ladies Derby with William Haggas’s MAM’SELLE. 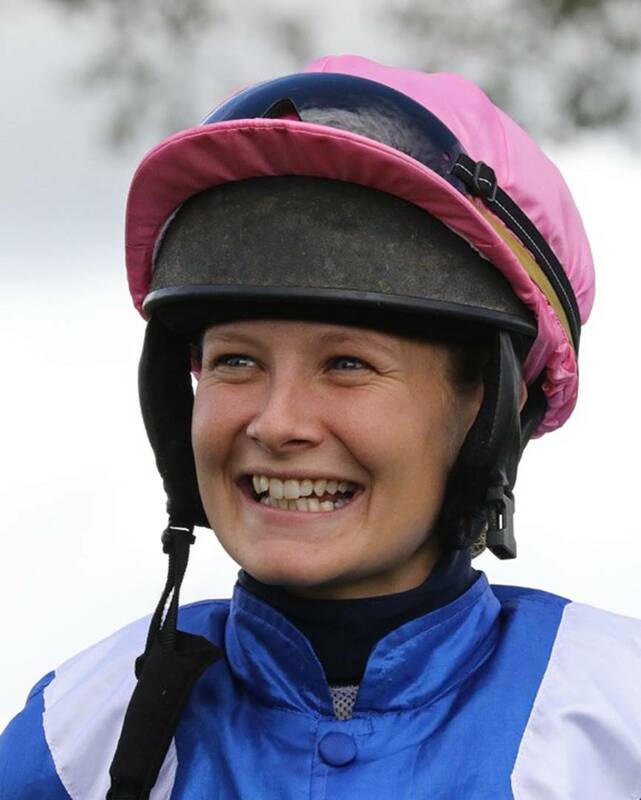 Waiting in the wings on 3 wins each are Abbie McCain, who has enjoyed a great season and is this year’s Betfair Novice Rider Series winner, and Jessica Cooley who enjoyed early season prominence in the tables. 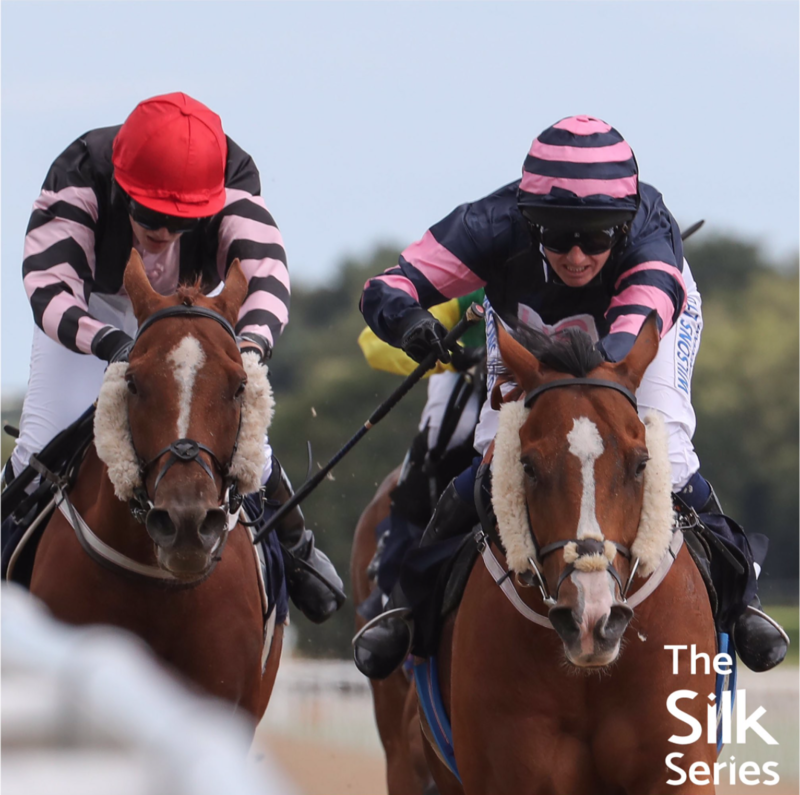 We wish them all good luck with Newbury hosting the final ladies race of the season next Saturday, but with the current positions so tight, the mixed races at Doncaster on 27th October and Nottingham on 1st November could play a significant part in the final result of this championship. Go girls!